1959 was a year that changed jazz. 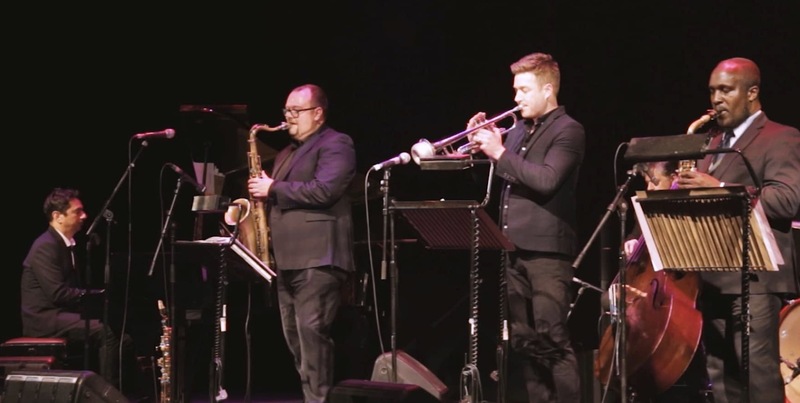 This fantastic live-jazz show performed by award-winning Cambridge based saxophonist Dan Forshaw and his sextet, pays homage to the 60th anniversary of a year that was pivotal in the development of jazz. 1959 saw the release of the best selling jazz album of all time, Kind of Blue by Miles Davis, John Coltrane’s Giant Steps took saxophone virtuosity to new heights and Dave Brubeck made odd time signatures cool, (especially with Paul Desmond’s ’Take Five’.) Ornette Coleman showed us the ’Shape of Jazz to Come’ and bassist Charles Mingus released ‘Mingus Ah Um’. Add to the mix that legends Lester Young & Billie Holiday also died in within months of each other in 1959 – and you can understand why 1959 changed jazz forever!